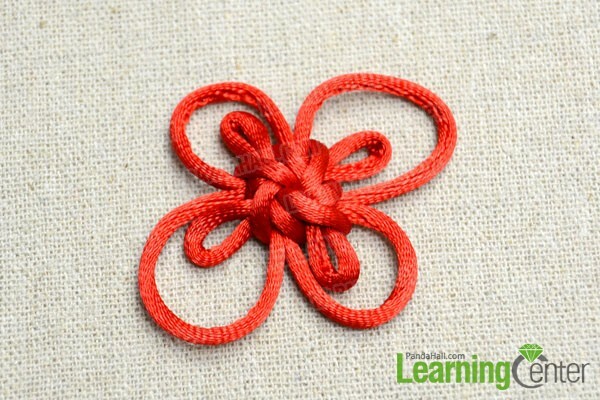 Summary: In this page, I will show you the way to tie a decorative knot: an upgraded version of Chinese cloverleaf knot. 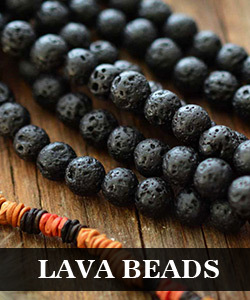 Each variation has its character and advantage for your jewelry making! Making decorative knot is challenging, but sometimes a work brings you a great deal of accomplishments. Furthermore, the other reason of writing this project is to make a necessary correction of one shared post on our Facebook about how to tie a traditional Chinese decorative knot. Thanks for all your supporting, suggestions and comments as well. 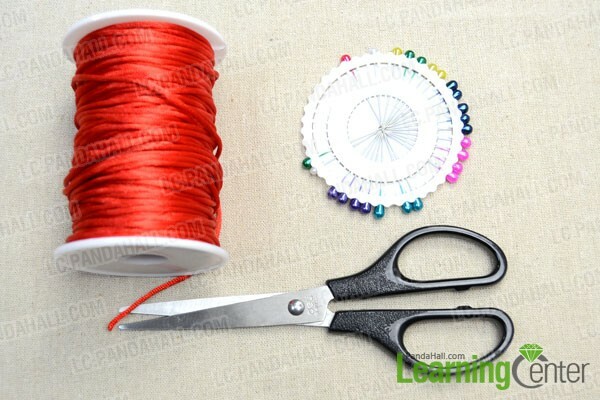 Step 1: Cut a length of 2mm nylon thread, about 56cm long. Divide it into eight 7cm-long segments. Pin the thread on a flat with 7 ball headpins. Tie a crown knot with the 4 ends. Step 2: Bring loop A to go through loop B from front side. Next, pass the loop B through loop A from back side. Fix the loops A & B with the same pins. Step 3: Take the loop C to pass it through the Loop D from front side. Pay attention that you need to make sure the Loop C passes OVER the loop A but UNDER the Loop B. Next, pass the loop D through Loop C from back side. Similarly, make sure it first pass OVER the Loop B and then UNDER the Loop A. Step 4: Remove all ball headpins. 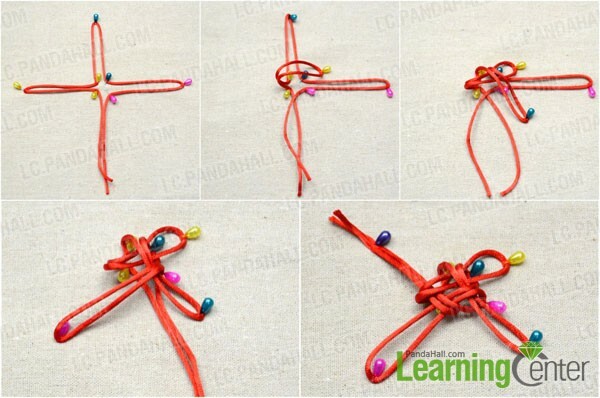 Melt the two ends in loop A so that you may get a complete one. Lighten four folded loops slightly. Step 5: Pull the four folded loops in first crown knot to adjust the sizes of two loops. Do the same process with the rest three corners. 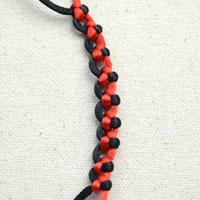 This upgraded Chinese cloverleaf knot is one of the most common used designs in tradition Chinese macrame. And up to now, those decorative knots still remain popular among most crafter. 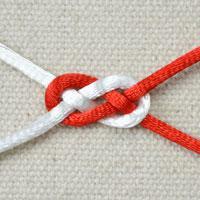 Practices tying each process several times, so you are as easy tying this knot as you are the square knot.